Real estate PowerPoint templates, backgrounds Presentation slides, PPT Themes and Graphics. Convert your dream home into reality with our Real Estate PowerPoint templates and themes. You can use these wonderful designs to create presentation on topics such as selling property, house loans, business and many others. We also have a selection of free Real Estate PowerPoint templates in our free section. Find the best range of Real Estate templates with us. We have the collection of ready to use templates which can be used for PowerPoint presentation. The most unique thing about our template designs is that these are 100 percent editable in Microsoft PowerPoint. You can add and remove text as per your requirement. Many times presenters face challenge of creating presentation that should make an impact on the client as well as allow them to make changes from their end. Now, with our designs you can easily make the desired changes and create the most wonderful presentations. Our Real estate PowerPoint templates enables you to target your clients in a better way which means you can show each and every detail about the property by creating a number of slides in the presentation. So, stop wasting any time in searching content for the presentation and start exploring our site for the best results. This power point template contains graphics of balancing scale with house on one side and money on other side. Display real estate value and money balance concepts in your presentation by using this creative diagram. 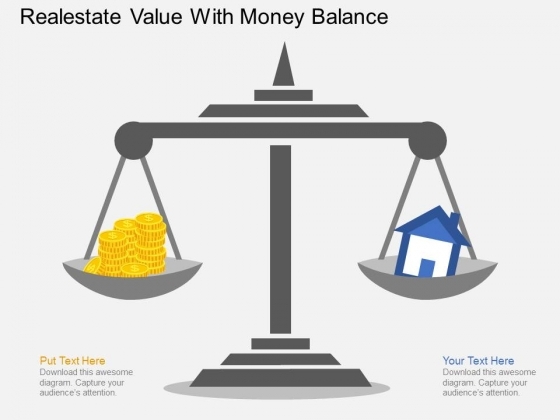 Take the plunge with our Realestate Value With Money Balance Powerpoint Template. Success will surely ensue. 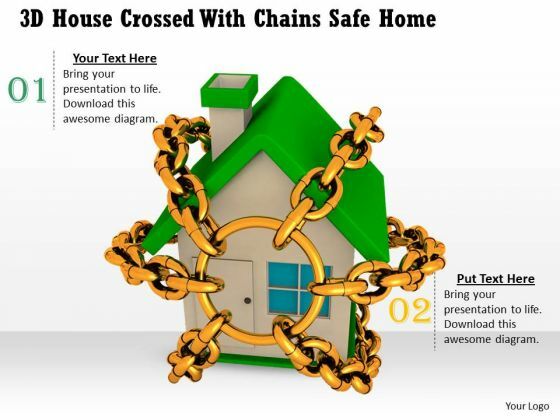 Put Them On The Same Page With Our business plan and strategy 3d house crossed with chains safe home success images Powerpoint Templates. Your Team Will Sing From The Same Sheet.